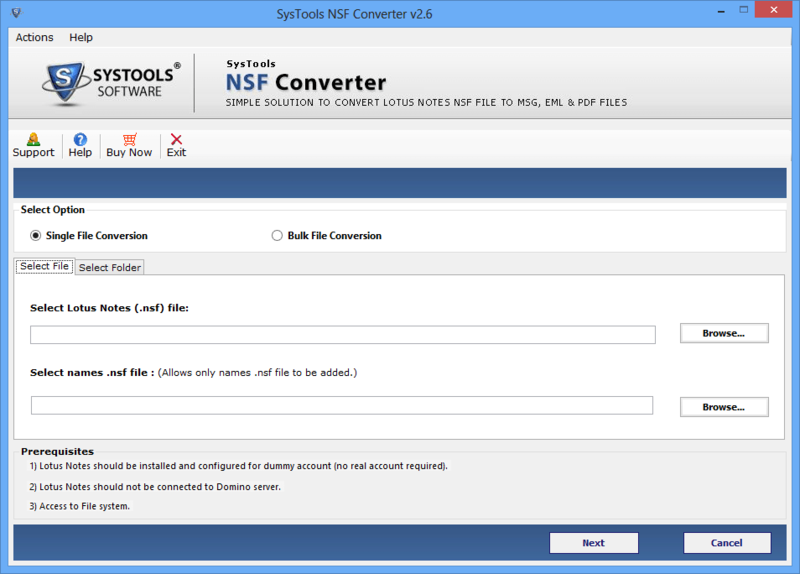 Now the first step you will get two options are available single file conversion & bulk file conversion. 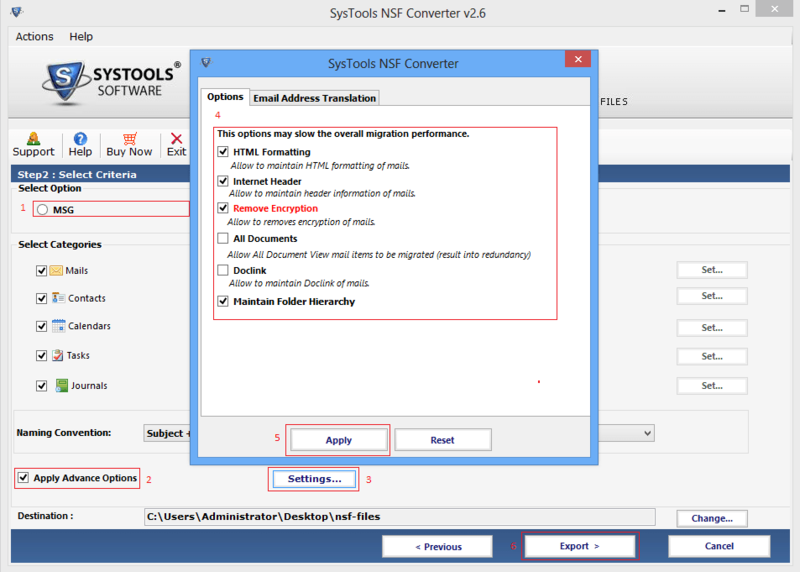 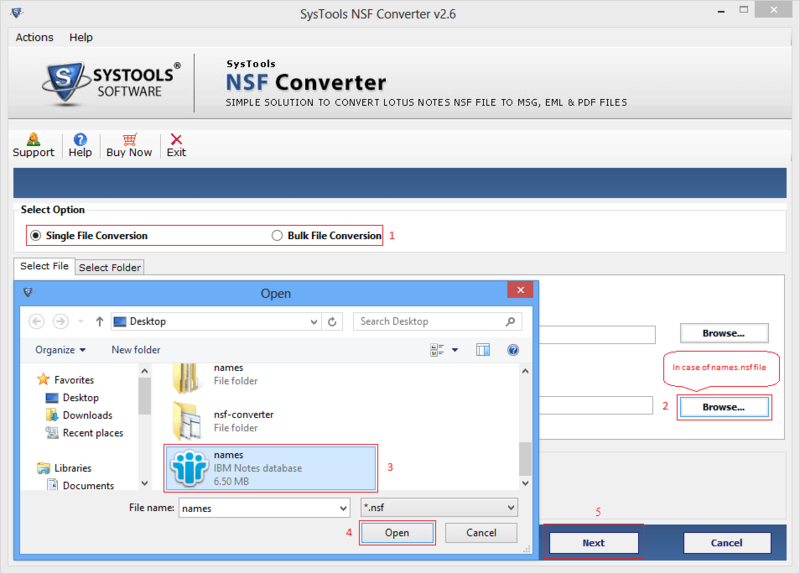 If you want to convert single file, then choose single file conversion option by clicking on Browse button. 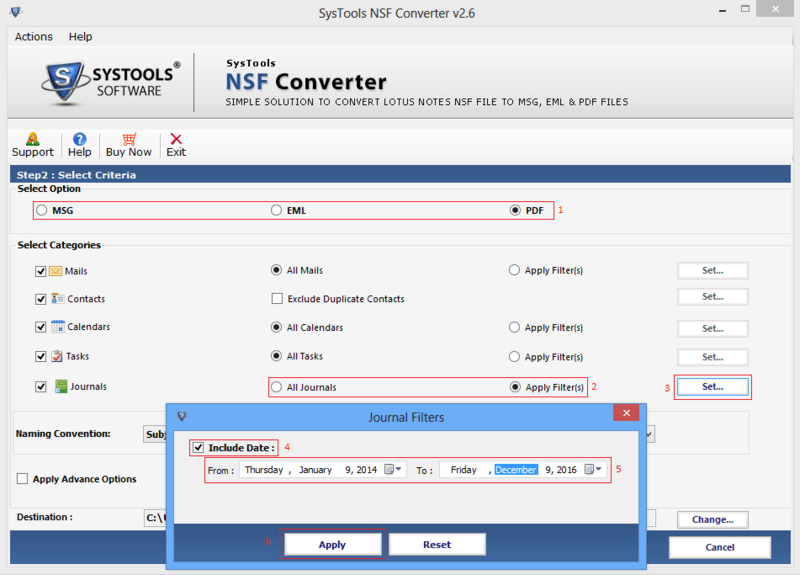 Then click on Next Button. 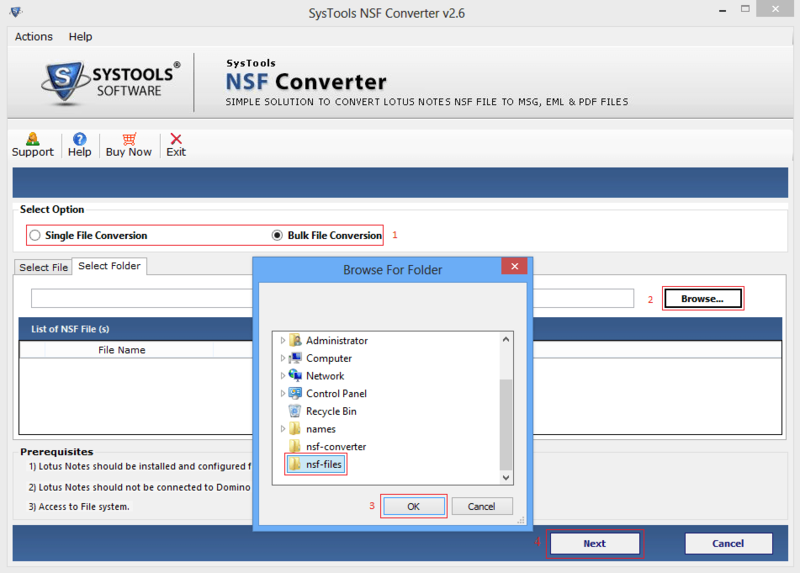 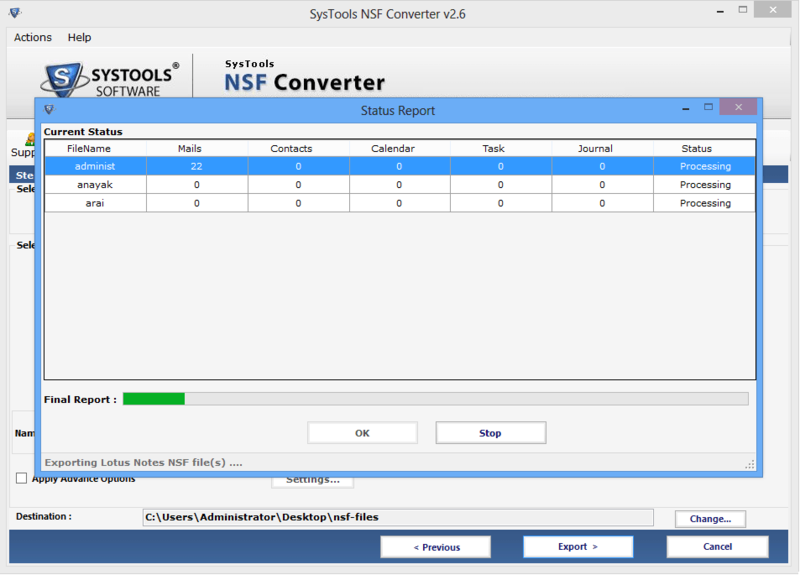 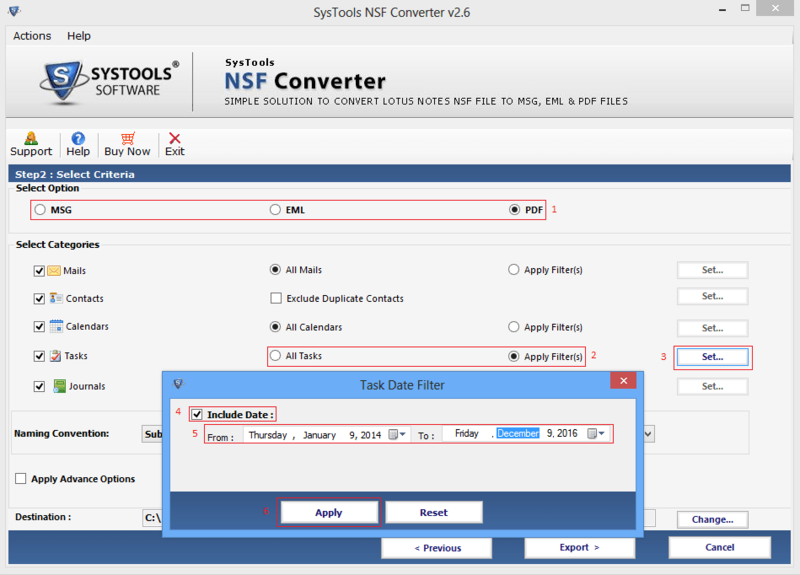 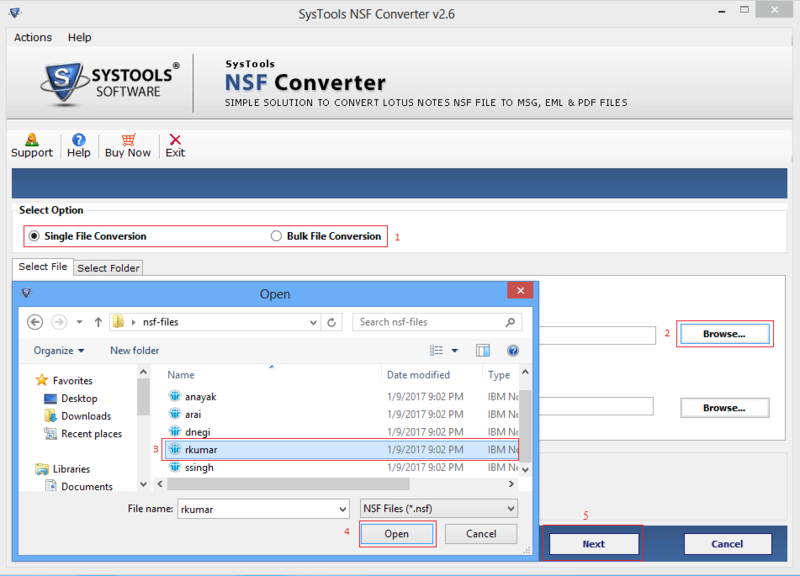 If you wish to convert all the contacts into nsf file format then select names.nsf file and then click to start the conversion process. 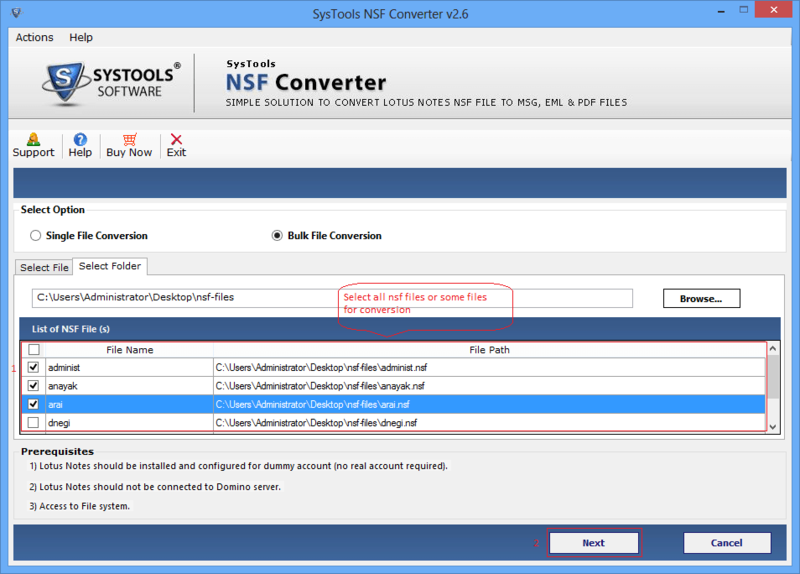 You can convert batch files to select the option of choose Bulk file conversion by clicking on Browse button. 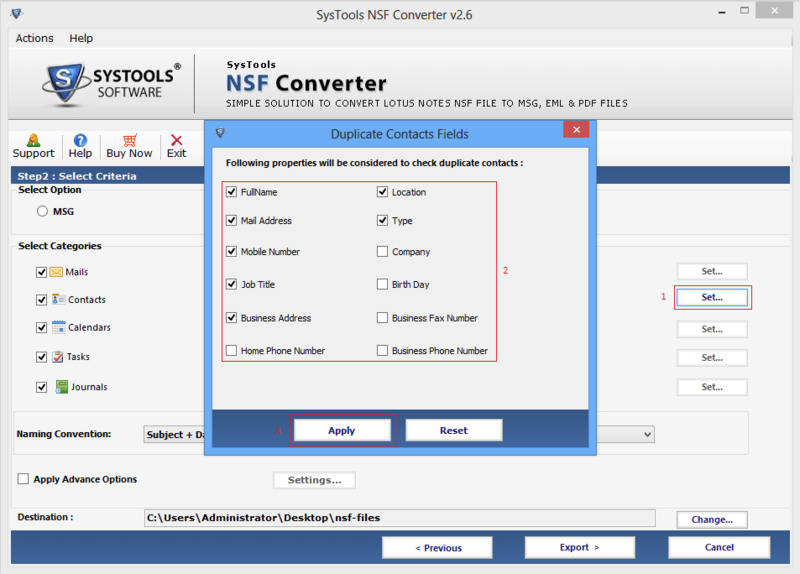 Apply the exclude duplicate contacts option to save the space. A windows will pop up in this various fields available like name, mail address etc. 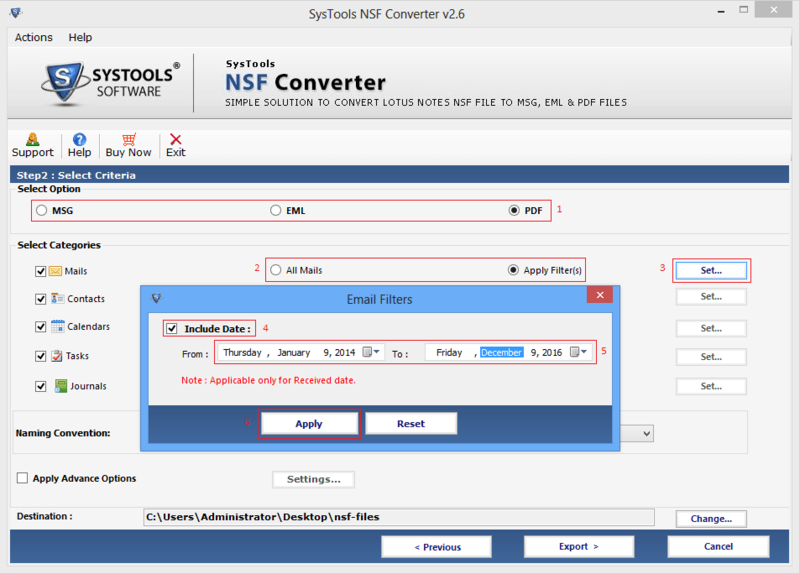 Click on Apply. 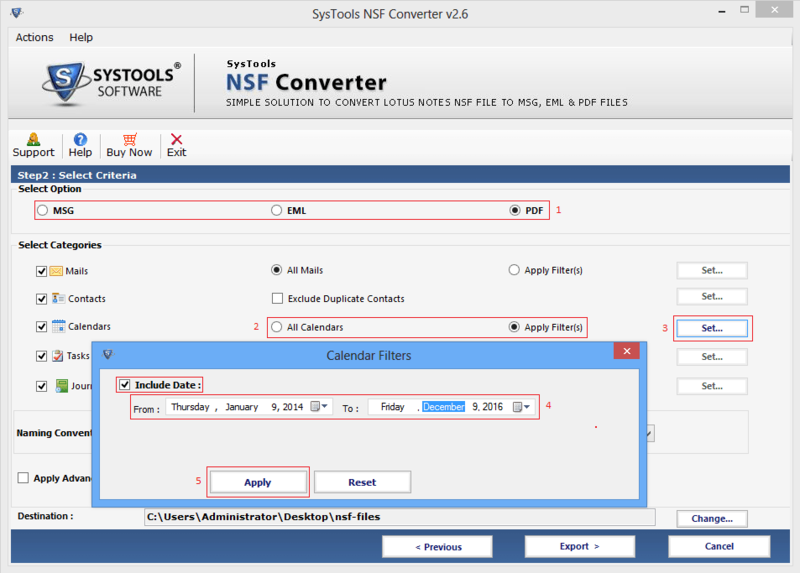 Once you choose the desired file format, they can select the category of Lotus Notes data items like Emails, Contacts, Calendar, To-Do and Journal. 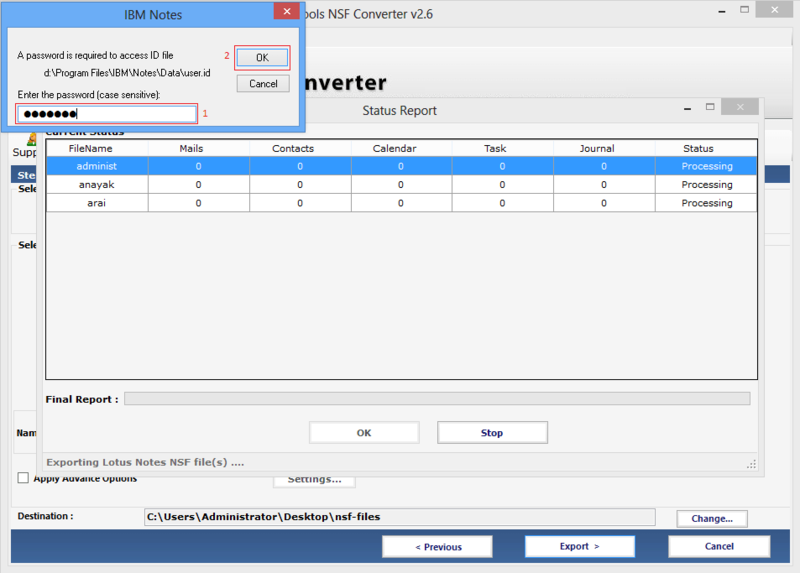 Now you have the option to select date time format from naming convention then click on Export to start the process. 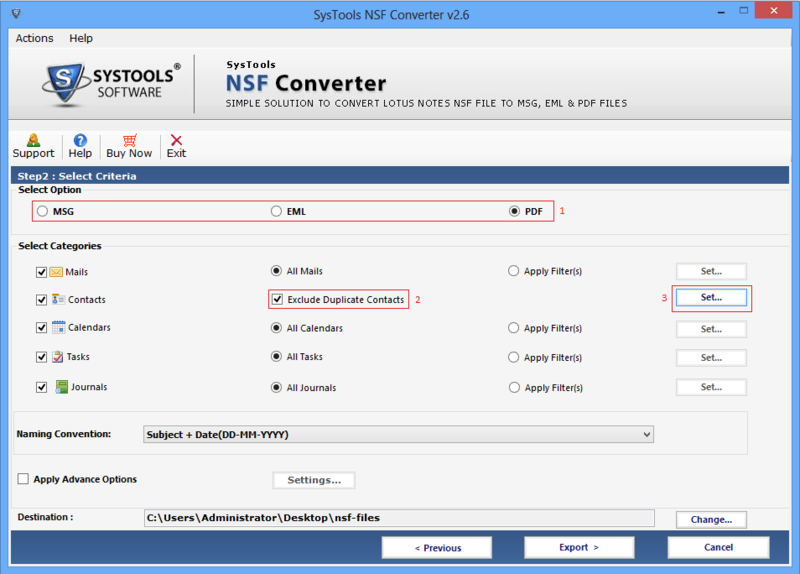 To apply the advance options, you can select HTML formatting, internet header, Remove encryption and maintain folder hierarchy etc. 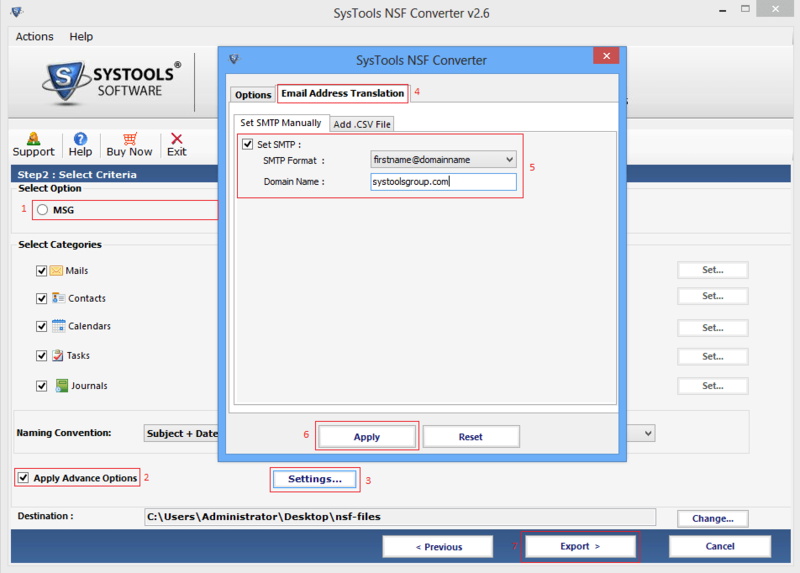 The Another one is Email Address Translation section available in which SMTP can be set manually. 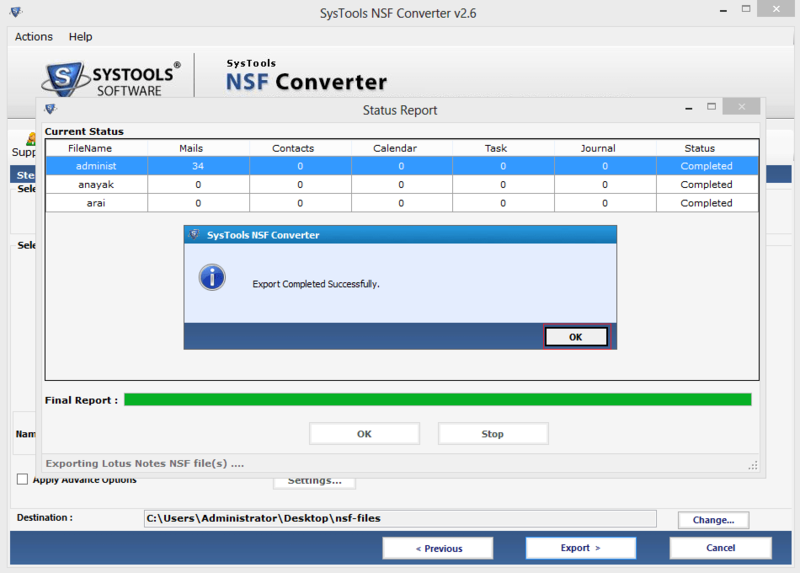 At the end the conversion will be done successfully.